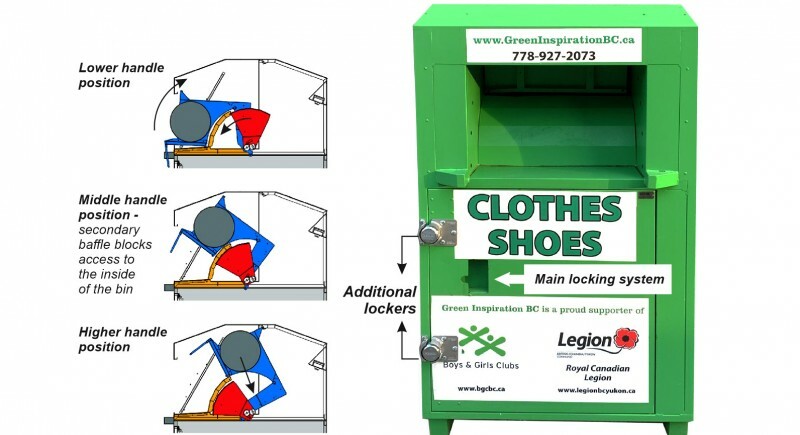 You put your old clothes and shoes in our collection bins. 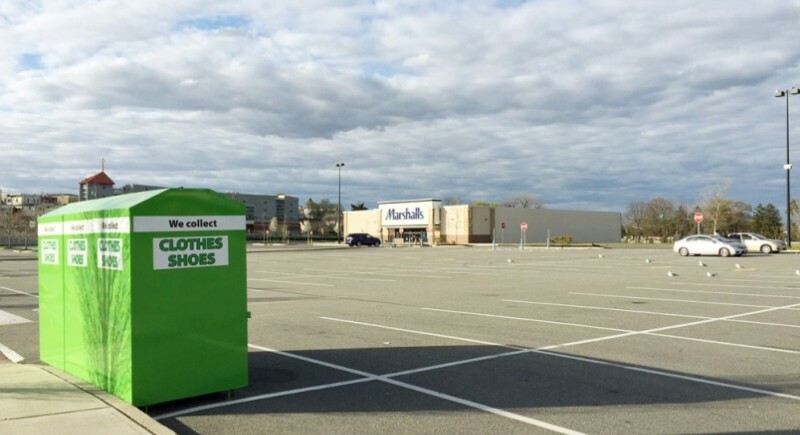 Several times a week, we collect the clothing from the bins. The items are brought to our warehouse and they are unloaded, packed and send to our partners locally or around the world. Once they receive the textiles they separate the clothing into different qualitative categories, the ones considered to be in good condition are distributed to second hand stores in developing countries where locals are given access to much needed affordable garments. Lower quality clothing is being sent to not for profit organizations as a pure donation; They on their end deliver the clothes to those in need in countries in Africa and Asia. 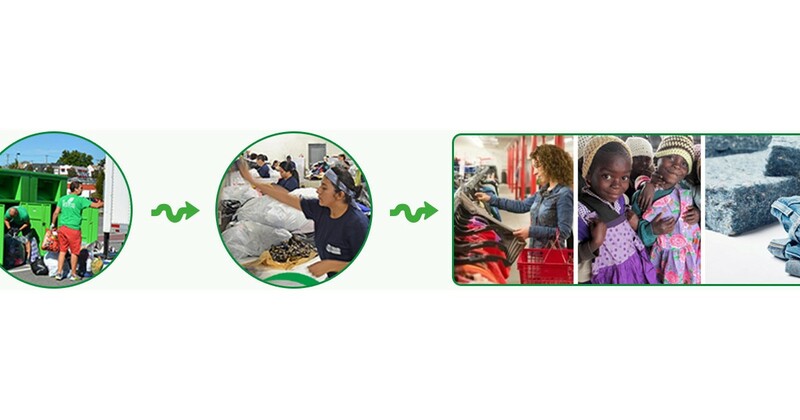 Small percentage of what is collected and not usable in any way goes through the process of recycling giving old clothes a brand-new life and reducing the amount of waste going into landfills. 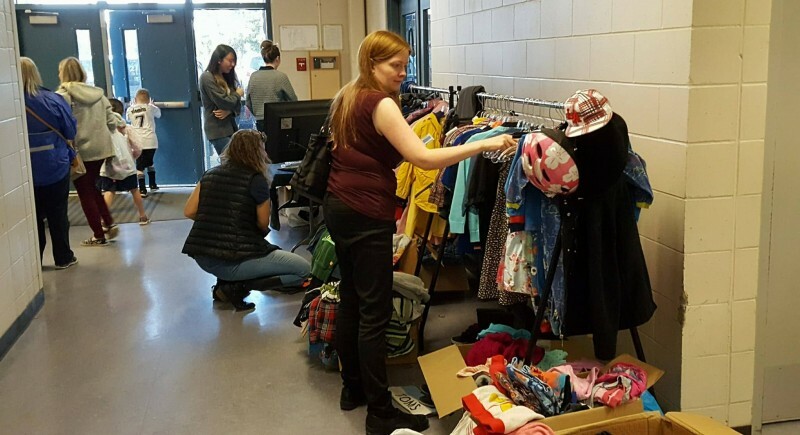 With the proceedings from the clothing, we are able to provide easy way for people to get rid of unwanted items and at the same time support the local charities we work with. This is how the circle is completed and we help each other as well as help our planet stay cleaner. • A channel that finds new users for clothes and at the same time provides employment opportunities both locally and in developing countries. • A way to support the development work of partner organizations which aim to increase the living standard of people locally and those who live in some of the poorest parts of the world. • Prevention of additional pollution by reducing the manufacturing of new clothing. By supporting this opportunity to reuse old garments you help our soil, seas, forests and air to stay cleaner and to preserve the natural habitat around the globe. • Clothing and household textiles make up 5% of the waste stream. • The manufacturing of nylon emits nitrous oxide, a greenhouse gas with a carbon footprint 310 times that of carbon dioxide. • Cotton, found in most clothing, is the most pesticide-dependent crop in the world. It takes 1/3 of a pound of pesticides to make 1 t-shirt. • Dyeing textiles requires a huge amount of water, and its fixatives often flow into rivers and sewers. • Rayon, derived from wood pulp, often relies on clearing forests to make way for water-hungry eucalyptus trees, from which the fiber is derived.